As a web developer, my preferred Content Management System is WordPress. It’s the perfect backend system to integrate into a custom built website. There are many reasons that I prefer WordPress over other content management systems like Drupal and ExpressionEngine. One of those reasons is WordPress’ level of expandability. WordPress has hundreds of thousands of plugins, both free and premium, that work to enhance and transform WordPress into a super powerful content management system. While there is an extremely large number of plugins out there, it is always a good idea to keep the number of plugins installed to a minimum. Personally, I prefer to minimize plugins as much as possible when creating custom websites for my clients and instead integrate as much functionality into the site as possible. Having said that, there are 5 essential WordPress plugins that I believe almost every WordPress website should have. We are all constantly hearing about Search Engine Optimization (SEO) and how important it is for our websites. 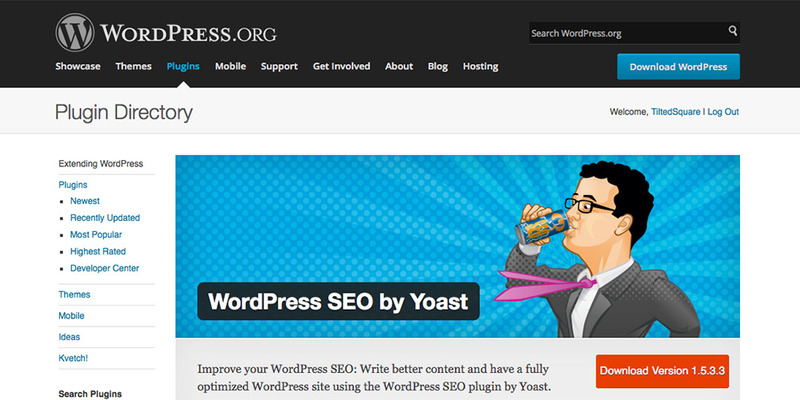 WordPress SEO by Yoast is the go to choice when looking to make sure that your site is optimized for search engines. One of my favorite features of this plugin is the integrated SEO checker. Yoast SEO will grade your page, letting you know if you have used your focus keyword in the url, page title, content, etc. While this is an awesome addition to the plugin, it is not always accurate and you don’t want to overdue it with the keywords trying to get a good SEO score from the grader. Also, Yoast is probably the most well know name when it comes to search engine optimization for WordPress, so you can rest assured knowing that this plugin was built with the best intentions. Gravity Forms simply cannot be beat, when it comes to building out complex forms for WordPress. Their drag-n-drop builder makes it simple to build out full web forms complete with conditional logic, and almost every field type imaginable. Furthermore, you can use Gravity Forms built in features to do things like capture guest posts, which would then be automatically saved as drafts in the WordPress dashboard. If Gravity Forms wasn’t packed with enough features already, they take it a step further with integration into mailing lists, payment gateways and much more. My favorite integration is Zapier, which allows me to send the captured form data to Base CRM. The only downside to these integrations are that most of them are available only with the developer license, which will set you back $199. If you want to check out Gravity Forms, take a look at my contact form or Project Planner, as both are built with the plugin. When it comes to the web, speed is everything. Users don’t have time to wait more than a few seconds for your page to load, especially when they are coming from mobile devices. 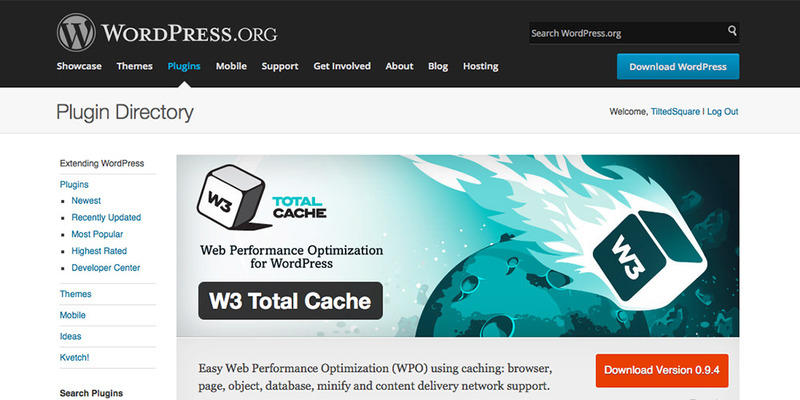 W3 Total Cache is a plugin that will utilize caching among other things to make sure that your content gets to your site users as fast as possible. While W3 Total Cache is no substitute for a well coded and optimized site (both of which I put a strong focus on), it can work to shave a precious few seconds off of your website’s load time. The plugin is extremely configurable, and I could write a whole post on how to properly configure it (which I may write soon), but for now, just know that page load speed is extremely important, and W3 Total Cache will make sure your site is loading quickly. Lets face it. In this day and age, your website needs to be as secure as possible to fend off possible attackers. 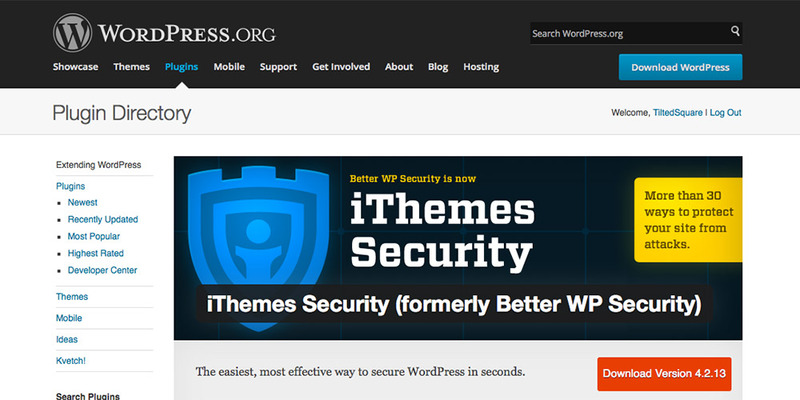 iThemes Security offers protection from issues like brute force attacks, directory browsing and much more. The plugin will look into your site and categorize common security issues that may be present. It will then rank each one from high to low priority. I recommend going through and making sure you take care of at least all of the high priority issues. The plugin makes it as simple as clicking a few buttons to help make sure your site is bulletproof. I find it is all too common that people are not backing up there work, and nothing is worse than losing weeks or years of work that you have put into you website. You can never have enough backups of your site and plugins like BackupBuddy allow you to automatically schedule backups so that you don’t even have to think about it. The reason I prefer BackupBuddy over some of the free alternativess, and even many of the premium plugins is that it not only allows you to store your backups in multiple locations like Dropbox, FTP, and Amazon Web Services, but the plugin also allows you to easily move and restore your WordPress site. 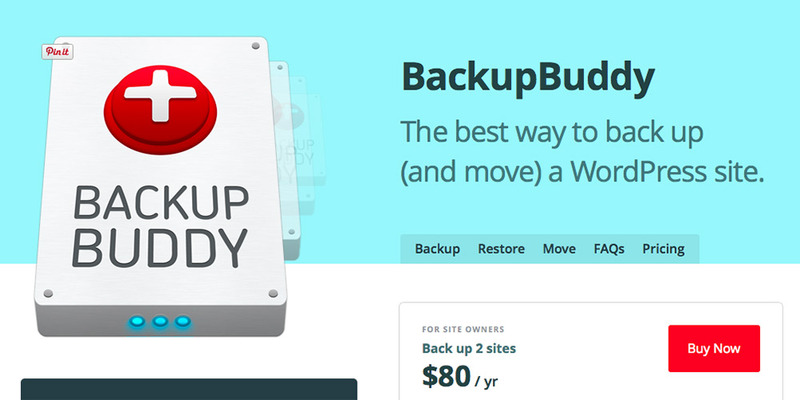 BackupBuddy is on the expensive side, so you may want to look into more affordable or free alternatives. Plugins are great (these listed here especially), but you can easily go overboard by installing too many. Always remember to only install a plugin if it is trusted and essential. Installing poorly coded or too many plugins can cause conflicts, and your site to slow down.